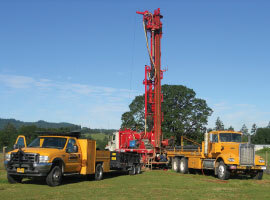 Arrow Drilling has been servicing Newberg, Oregon and the surrounding area with quality drilling services since 1956. Arrow Drilling is owned and operated by John and Dawn Stadeli. The Stadelis purchased and have been operating Arrow Drilling since 1996. Arrow Drilling has been an active community member through the years. The Stadelis are members of the Chehalem Valley Chamber of Commerce and are supporters of local organizations such as the Newberg Booster Club, Chehalem Park and Rec. sports programs, Cal Ripkin Baseball, Newberg Grad Night group, and others. Arrow Drilling prides itself on providing individualized service to each of its customers. John Stadeli is a third generation well driller who has been working in the water industry for over 25 years. 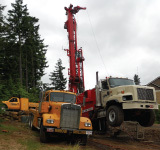 He has an extensive background and knowledge of a variety of drilling types and situations. John will discuss all your options with you prior to recommending and estimating your well project. This includes potential (percentages) of finding an adequate supply of useable groundwater. Of course, all estimates are free of charge. 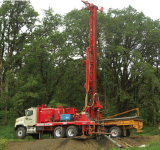 Arrow Drilling maintains a fleet of modern equipment in order to best serve our clients. Our goal is to provide our clients with the best possible well for a lifetime of use. Groundwater is a replenishing resource. When a well is installed correctly and pumped within its parameters, you will get a very long life out of it.